Well, it’s official! We’re moving. 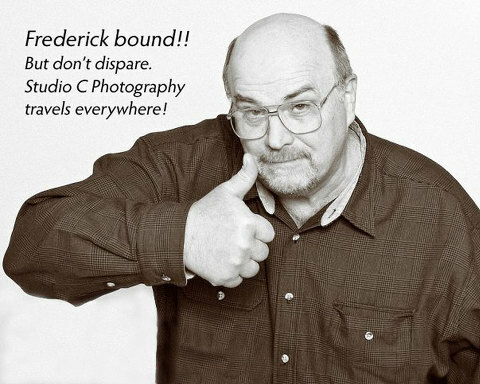 After 26 years in the New Wilmington-New Castle, PA., area, Behm Photographics is moving south… and east…to Frederick, MD! It’s been an exciting, long process that started back in August and only became a certainty the week of Thanksgiving, 2010. It’s ironic, too, that for 12 of those 26 years, Behm Photographics also operated as Studio B Productions. Why ironic I hear someone ask? Because Studio B is joining Studio C Photography of Frederick, owned and operated by Susan Centineo. Talk about serendipity! (there’s a longer story there, but it’s for later). Susan has a thriving fashion and wedding photography business with high recognition and an outstanding reputation in the Frederick region, and has been considering a commercial division for some time now. With my long experience in that particular field, and having found we get along extremely well, have similar goals and a shared passion for photographic excellence, it appears to be a perfect fit. I’ll keep everyone posted as things develop, and hope to be located in Studio C by or soon after December 11th. Current Behm Photographics clients with pending work can also rest assured that their needs will continue to be met just as they would expect. The wonders of the internet make many things simpler, don’t they? Be sure to visit Susan and Studio C at http://www.studio-c-photography.com the new home of Jeff Behm! Stay tuned in, too, for the new appearance and new images as things begin to roll!